There are 9305 posts in this topic. You are on page 114 of 187. From a $700 decapitated wreck on a garage floor, reimported from Germany in unknown condition to fully functional in 1 week. Beyond needing every wire soldered back together I had to rebuild the driver board with new Bridge at BR3 and caps as well as GI headers. New GI molex connectors. New HV caps on DMD driver. New caps on sound board (since replaced with PinSound). New rubbers everywhere. 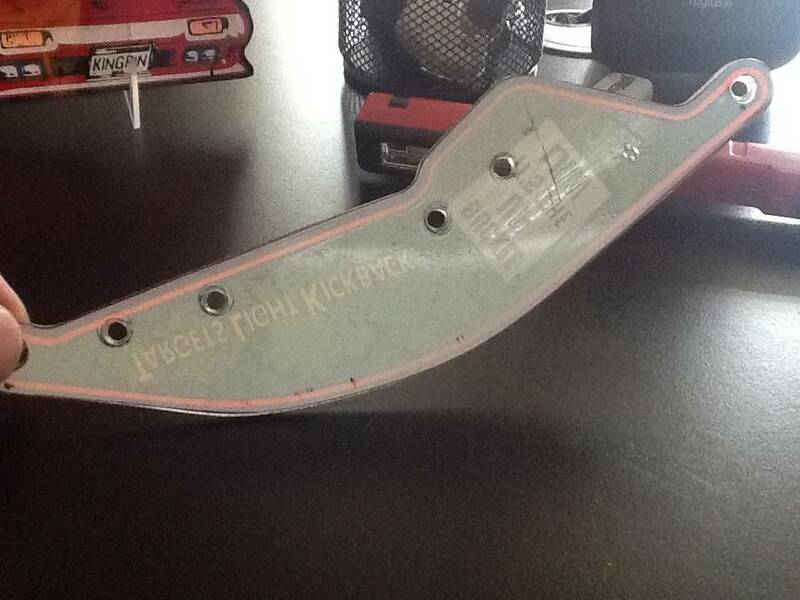 2 broken plastics on the way from the land down under. 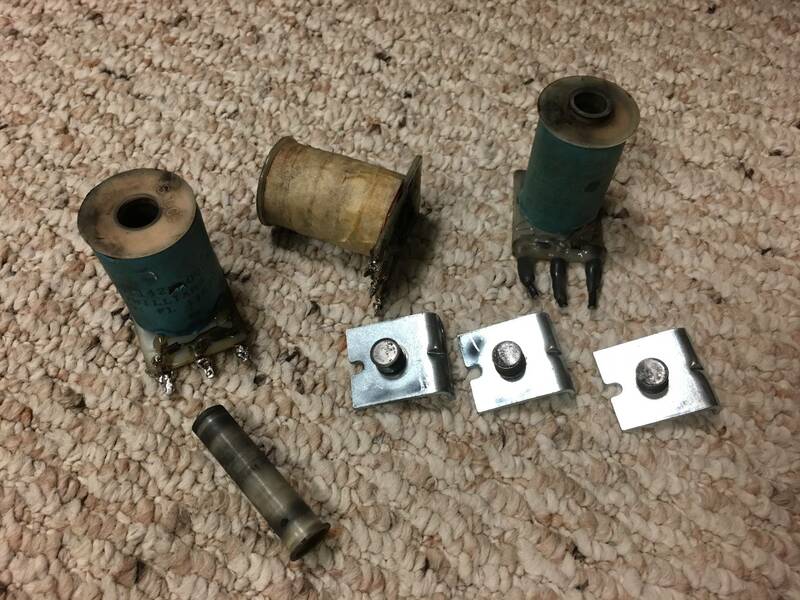 Rebuilt all 3 flippers with new coils. Still running L1 rom. I will patch L2 for the LED ghosting fix and then burn that at some point today. 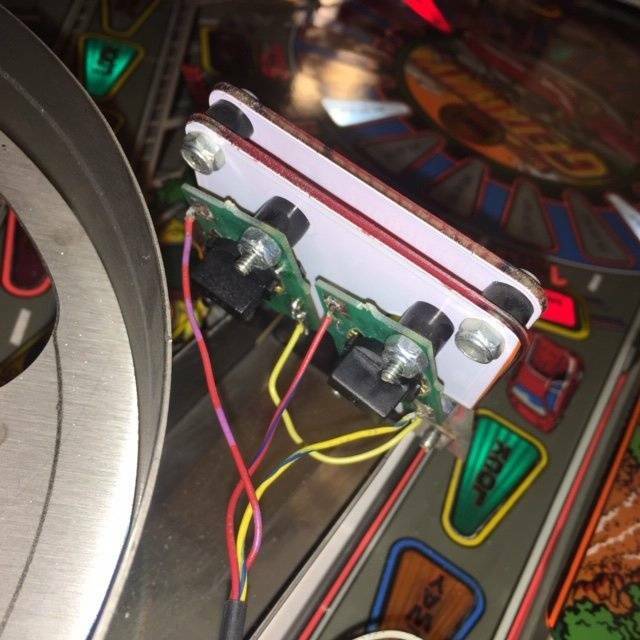 Playfield needs some love in a few spots where prior idiots drove screws through. Needs some Cliffys. I was working through LED change out for GI, Inserts and Flashers and ran out of 555 bulbs for all of the inserts. More on the way from Comet. 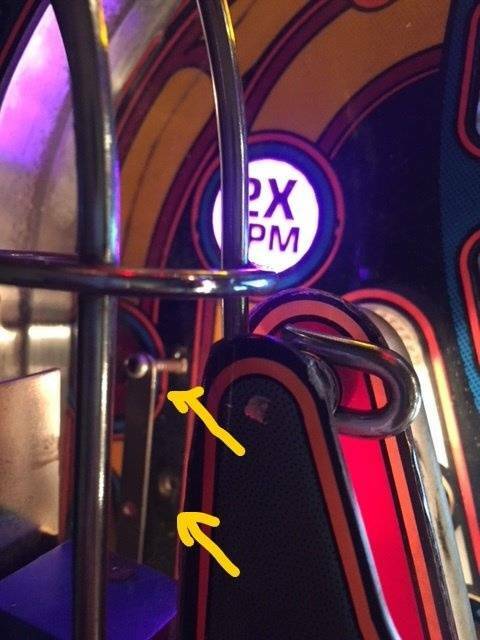 The playfield slide lock mechanisms look like they are intact and seemingly springy but they just won't engage. I am over it though and playing the crap out of it in the garage. 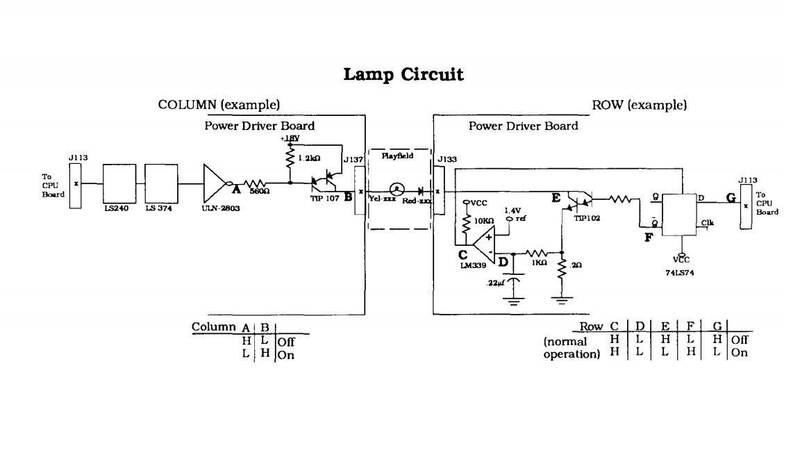 WOW, you really know what your doing with electronics. Super job. So my kickback seems to deliver the ball in varying places. 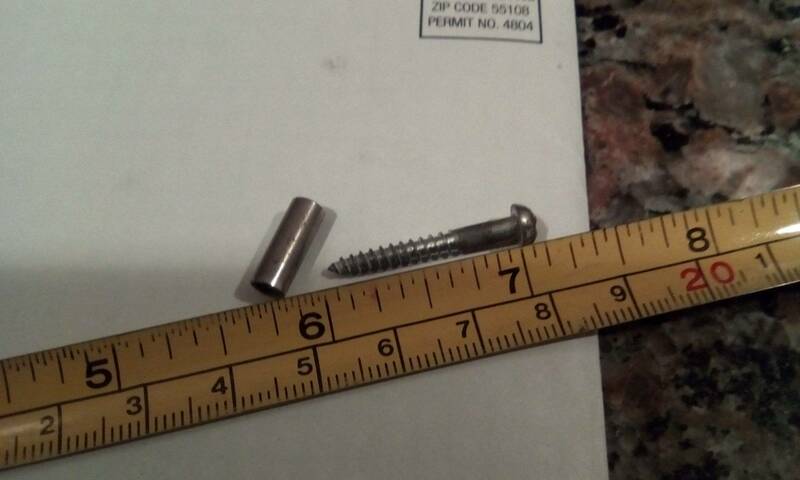 I noticed the metal guide is missing a tiny screw. Anyone know what size that is off hand? damn that was a steal, nice job. Uhmmm... yeah. Something like that! 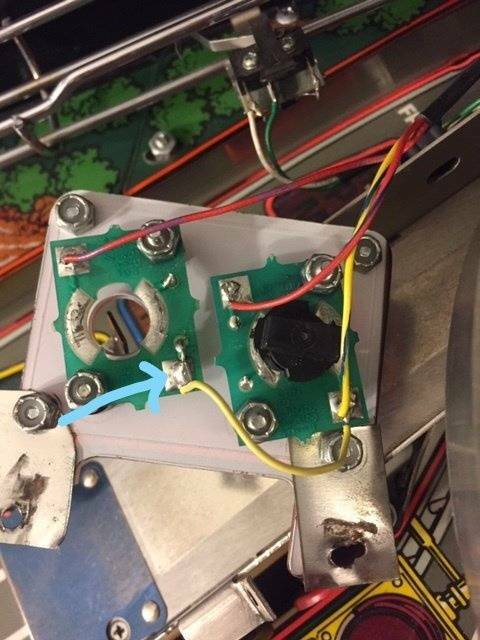 post a pic of where the missing screw is supposed to be. 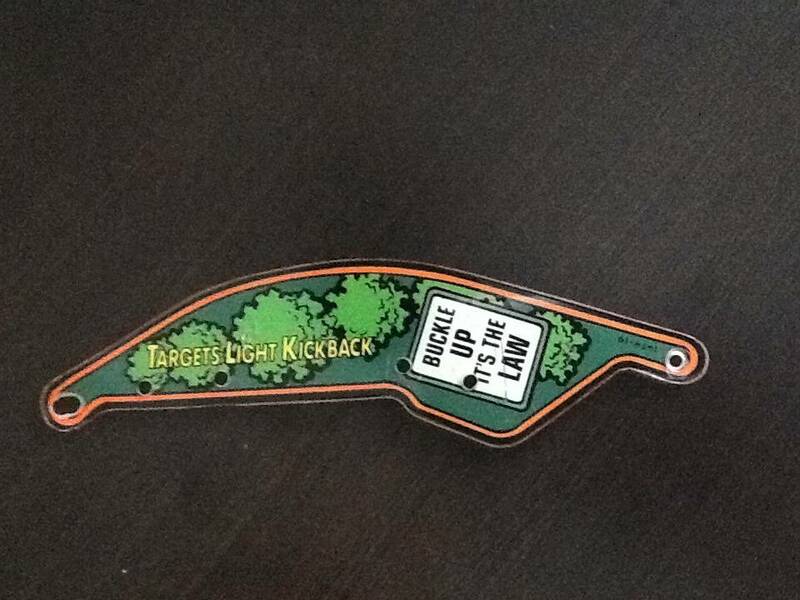 I have a FREE right side target plastic available for the first person who PMs me that says that want it. You gave me an inferiority complex by letting me know you were going to keep one of your originals. Maybe show me a little love by using one of my new designs for 3rd coin reject? 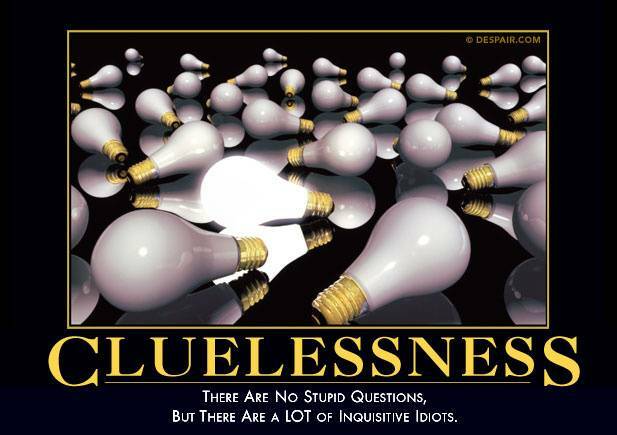 All in jest, of course. 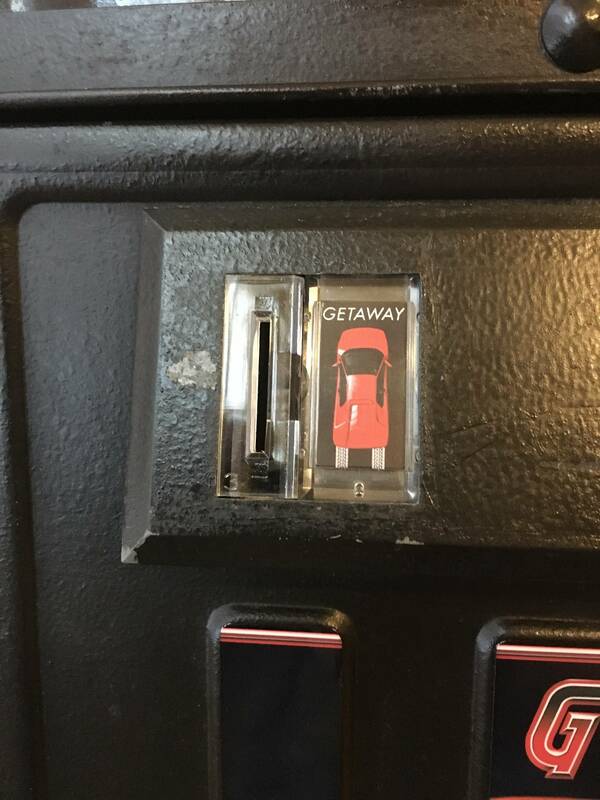 By all means do whatever you want to, but hopefully this is a small thing that can easily give a personal touch to several Getaway pins. 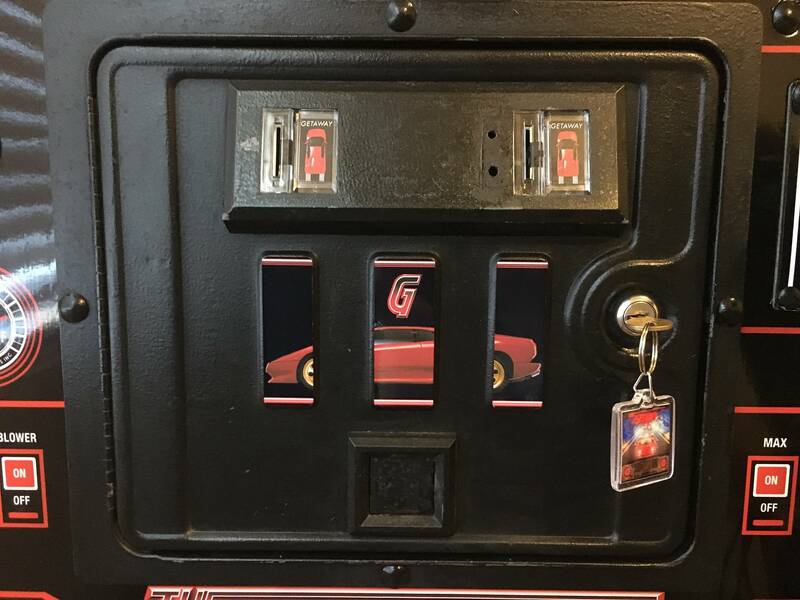 hehe I will now using your petrol pump / gas pump icon for my middle coin slot! I have been using standard paper. is there something you recommend printing these on ? You just want a nice bright white non-blotchy paper that transfers the light well. 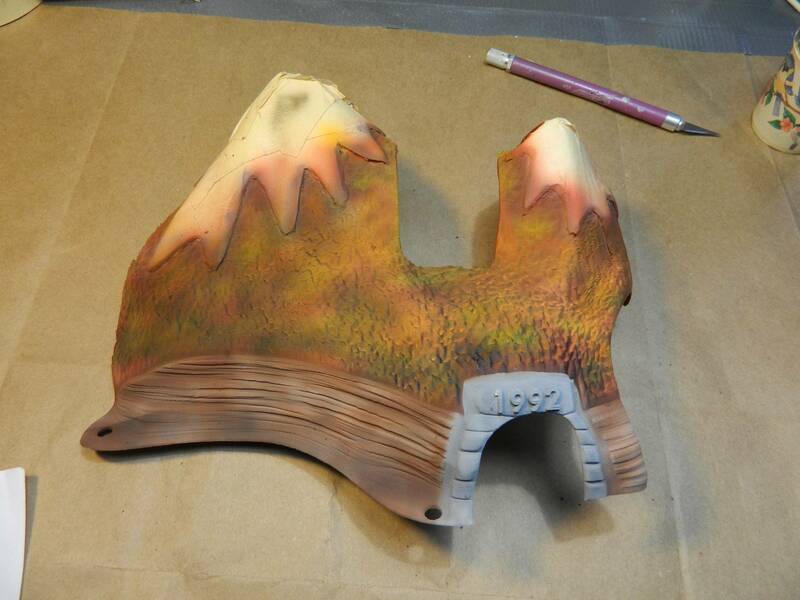 I use Hammermill Color laser 28lb, but if you like your results with plain then nothing wrong with that. Woohoo! Just had a nice 5 ball game of 585 million+. I need to learn how to get more Super Jackpots. Got 1 in this game and 2 in my other 500M+ game. Also, can someone please explain to me how the special settings work? Up until today, I noticed that first special was always at 8 tunnel shots, but for some reason today it is 9. Also second special was at something like 58 and today 59. I don't know how/why this changed or if it is a user controllable setting. 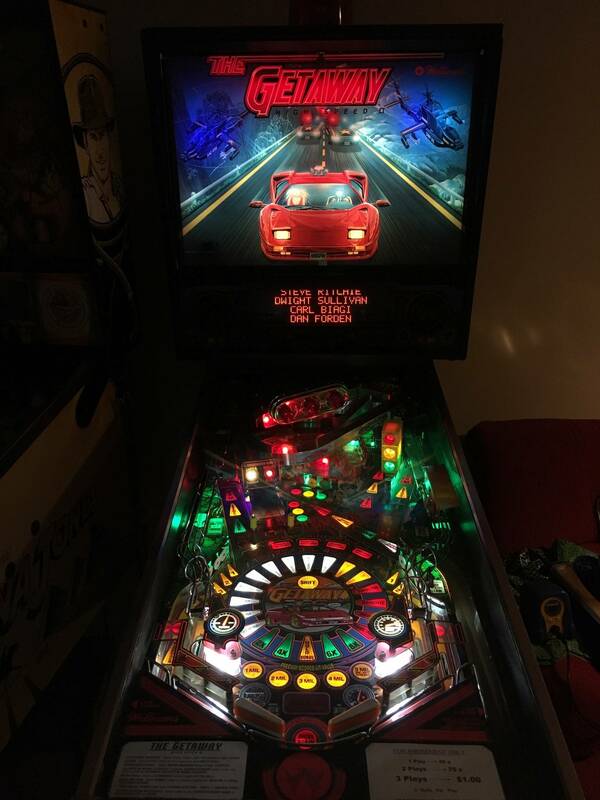 Nice to have mine permanently in place and shooter error fixed (diodes). Couple good games and it's so fast. Ok , time change make the change to 3 balls buddy !! Hmmm. I was thinking the other direction. Why settle for 3 when the standard adjustment will let you configure 10?! Actually, I will probably set to 3 at some point soon and start playing that way. I'm still learning how to do things, so 5 gives me more opportunity. Not intended as bragging or to compare to others, as I know I'm just a low rung amateur, but higher scores when compared to just myself do mean I got to experience more of the game which = more fun! 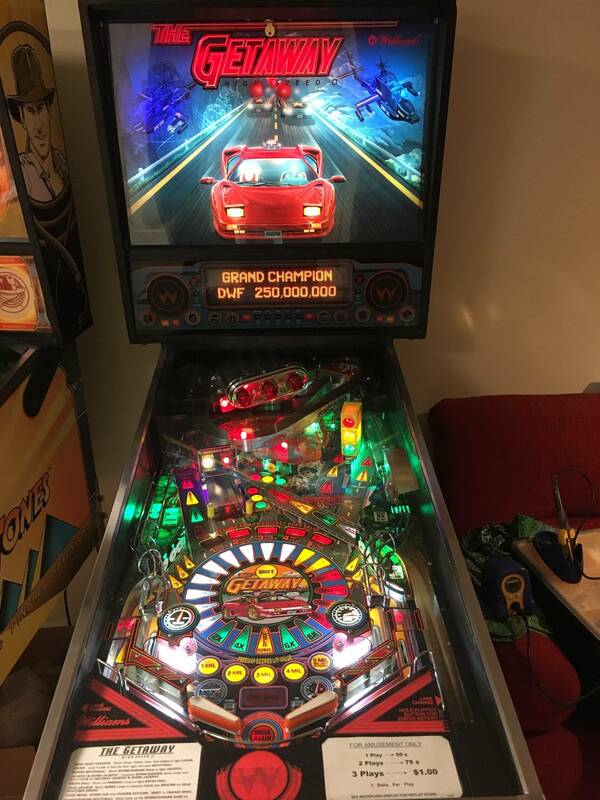 I totally agree about the fun factor but with only one pin right now, your more in danger of getting bored with the game on 5 balls as opposed to 3 . As you get better your going to quickly "see it all " if you stay on 5 balls. Mother nature intended a pinball game to be 5 balls. The only reason a 3 ball option exists, is to shorten the average game time so operators can cycle more players/money through the machine. Nobody needs to be ashamed of their game being set to 5 balls, all 9 of my games are, as will any other game I own in the future. As a prank one day my son set the machine to one ball. I played like 3 games freaking out not knowing what was malfunctioning. Of course the big grin on his face when he asked me if something was wrong on the pinball machine immediately gave it away. Did get me thinking, however, if a one ball challenge might be kind of fun on occasion. Now, to the fact that I only own one pin, I would love to have more but my taste seems to be larger than my wallet. Also having trouble finding good deals on pins here in north Texas. 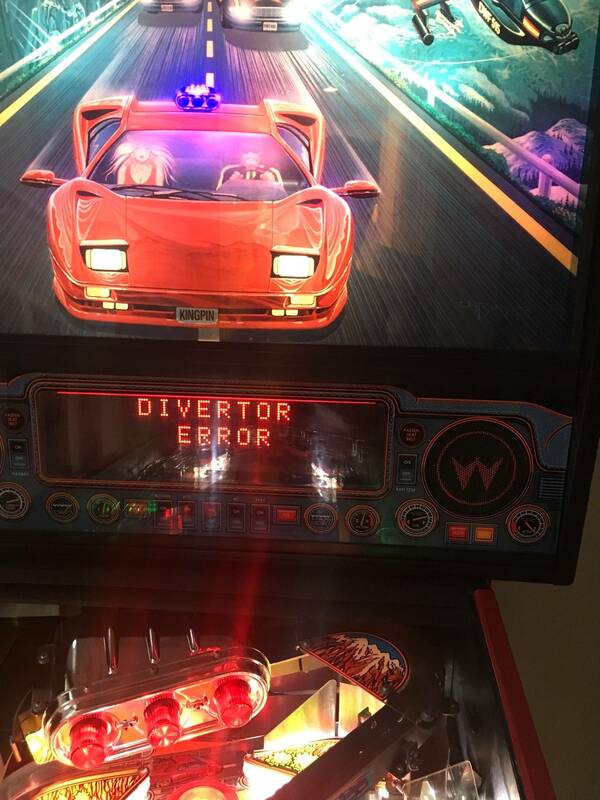 Thought I might be interested in a virtual pin, but after having played several games on multiple systems at TPF I determined they are not for me. Now, to the fact that I only own one pin, I would love to have more but my taste seems to be larger than my wallet. Also having trouble finding good deals on pins here in north Texas. 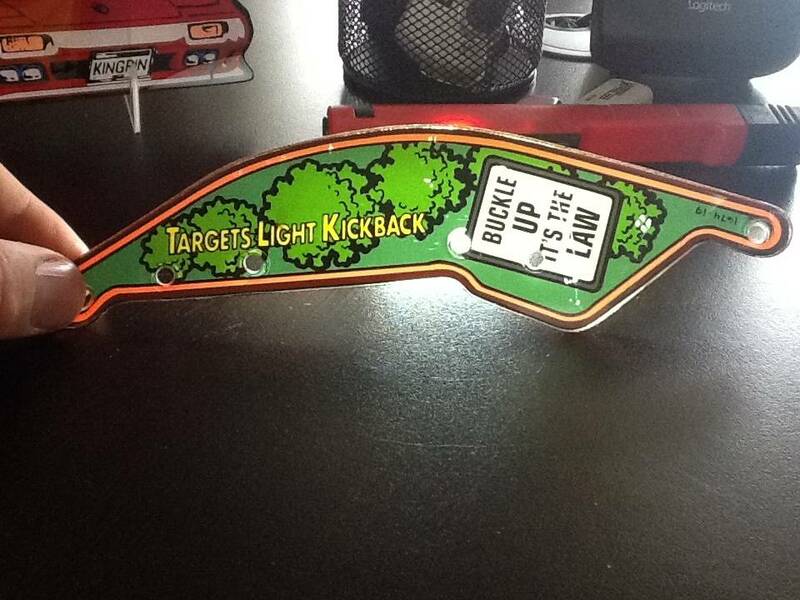 Have the family collect aluminum cans to fund the next pin.....ask the neighbors too. 100%, they all used to be 5 balls per game when I was kicking around the arcades then several years later they were all set to 3, turn those players more quickly and feed the machine more often, totally operator driven. I completely remember a 5 ball game, back in the day. And when they changed to 3 I felt like I was being ripped off. 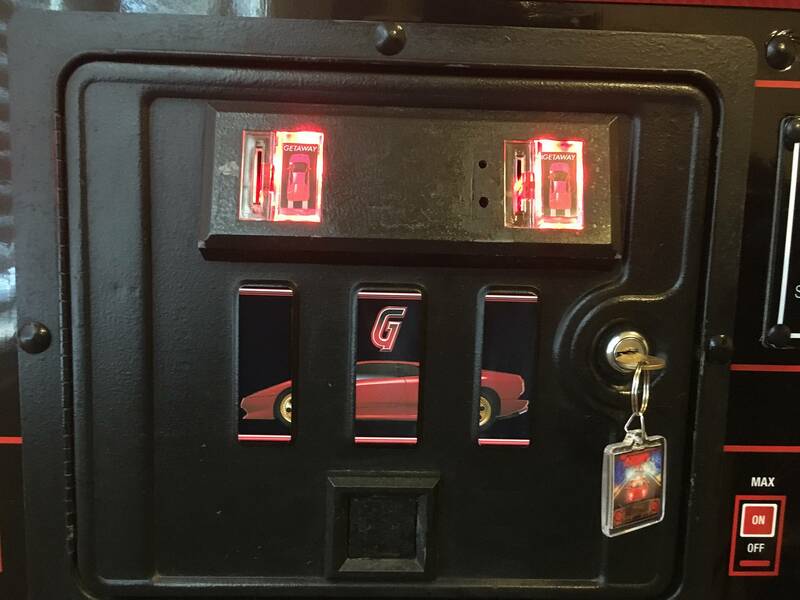 Never thought about making Getaway a 5 ball game again. Thought maybe it would kinda be like cheating. The league I'm in is 3 balls all the time, so didn't think much of it. Besides just adding 2 and changing the setting to 5, are there other settings that you would adjust? 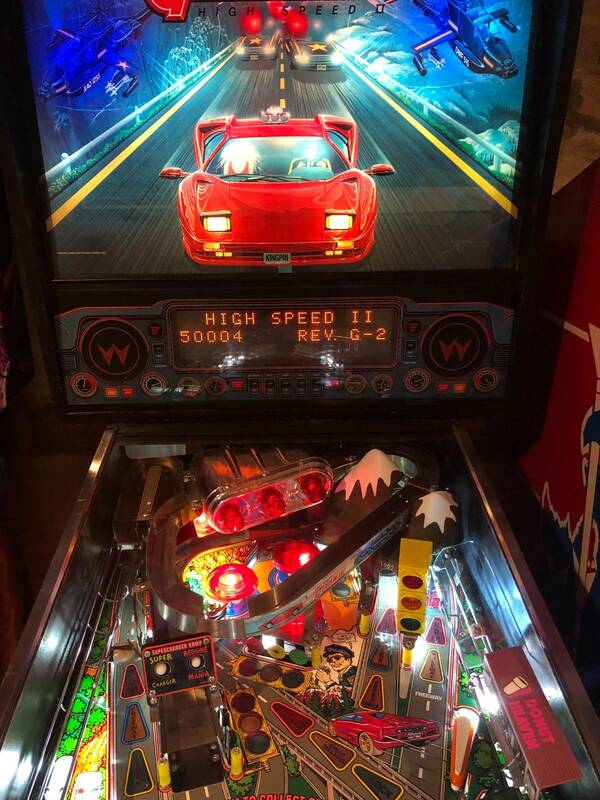 Would multiball now need 5 balls locked before starting? 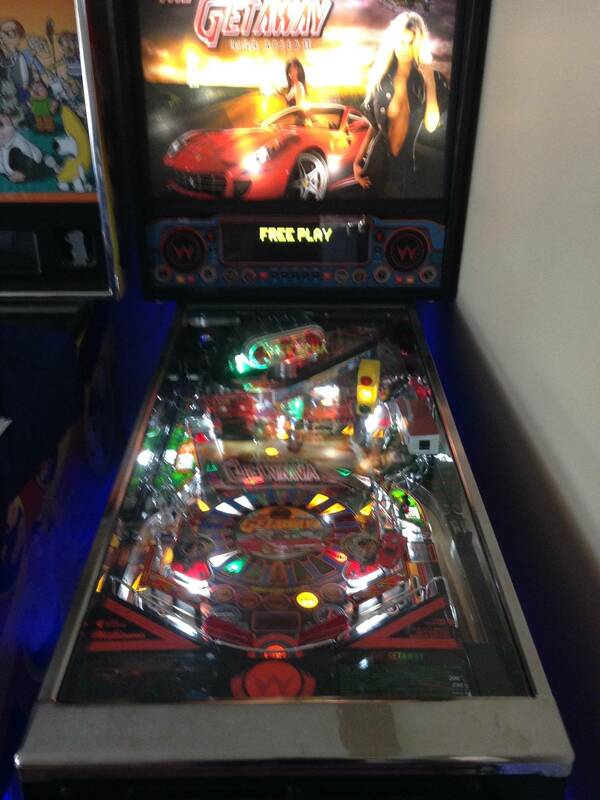 Would multiball still be 3 or would it be a 5 ball multiball? From decapitated to great. Pinsound board is in. Stereo rewire done. 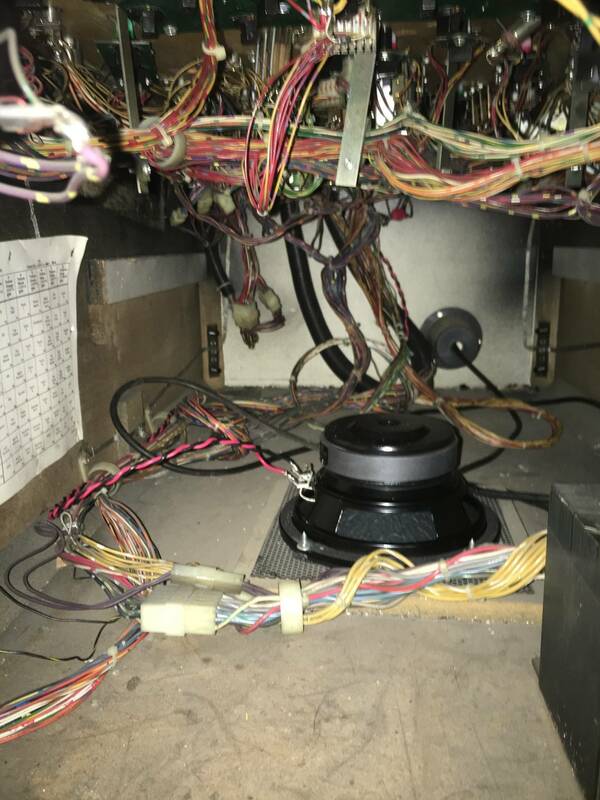 New Parts express 6'1/2" cabinet speaker installed. Comet leds throughout. Added some comet post lighting to the gauges on the slings last night as some others have done. The game really is quite fun and the actual ZZ Top music makes it that much better! No, the rules are the same... you can adjust other game settings too but balls per game is totally independent. That is seriously awesome work. So, do you have a re-orchestration for Pinsound? I am working on mine, but had a hiccup with my board, so awaiting a new one. First round of painting. The snow capped mountains are taped off and are white. Awesome! Any idea on approximate cost? I want to order a few of your other mods, but I am waiting on this to combine shipping. Will there be an unpainted option at a modest discount for DIY painters? 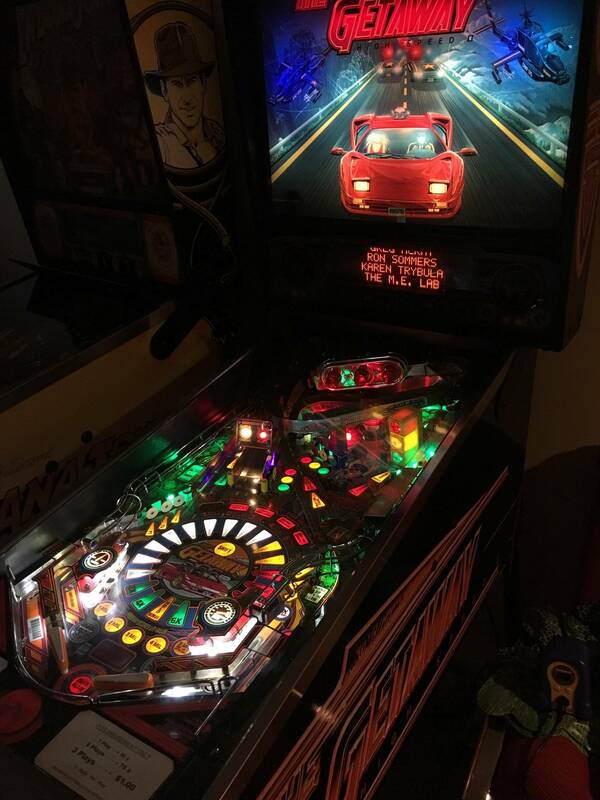 Putting my Getaway up for sale that I had for 18 years. It is a great game but I must make some room. Great, that didn't take long. So in talking about going from a 3 ball to a 5 ball game. I think I will do it. Want to replace the 3 in there with a new 5. Googling sums up that Pinball Life Ultra Gloss are the best ones, but they are out of stock. They tell me they rejected their last shipment and have no ETA for new stock. Anywhere else have good ones like PBL used to have? OK. I'm new here. 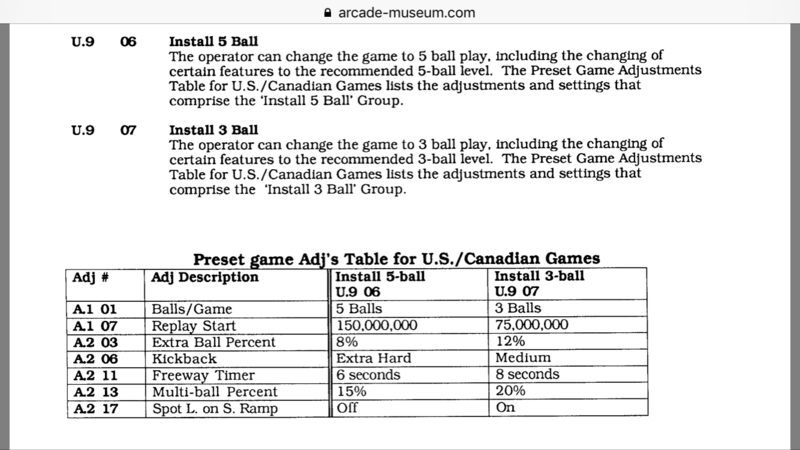 So just change the settings to a 5 ball game using the same 3. Makes sense to me now. 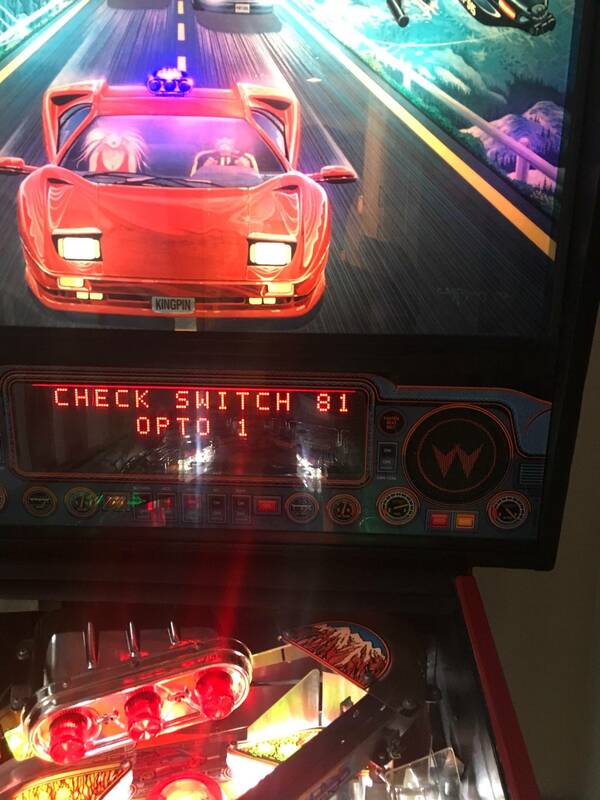 I think the best thing that happened to the game was to get the brand new right number coils, sleeves, switches, springs and stop. The game is so fast! Pinsound Mix was provided by pinside jamescardona. I bought the ZZ Top greatest hits to have access to the music though. The little 6'1/2" Dayton speaker from parts express sounds great with the pinsound board. Nearly as good as my flipper fidelity setups on other machines and a fraction of the cost. Just to remind everyone, I am working on a reorchestration for Getaway which I think everyone will enjoy. 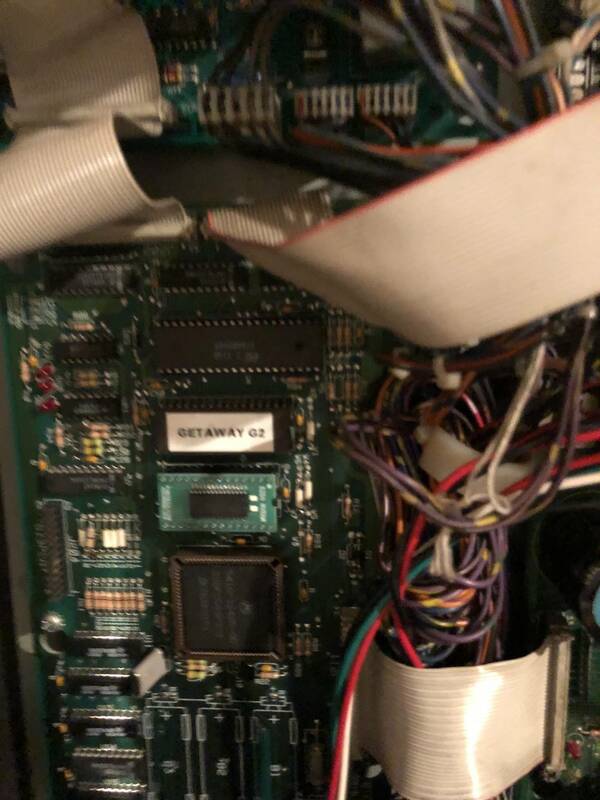 Unfortunately, I had a setback with my PinSound board, but a new one is on the way. Not saying that orchestrations out there now aren't good, but mine will definitely be unique and engaging. Features mainly instrumental tracks from ZZ top (as edited by me - I didn't want the vocals getting in the way of callouts) and the main theme is actually a La Grange cover with more of a techno style to it. Also, replacing as many sound effects as I can with real Lambo Diablo V12 sounds, explosions, etc. and what I don't replace I am converting to stereo instead of mono. It will be a work in progress, but probably still looking at a couple of weeks before I get my new board in and am able to tweak my orchestration for initial release (all the work is done, but only able to simulate on PC at this point). The car is lit up with pink but I wanted white headlights. 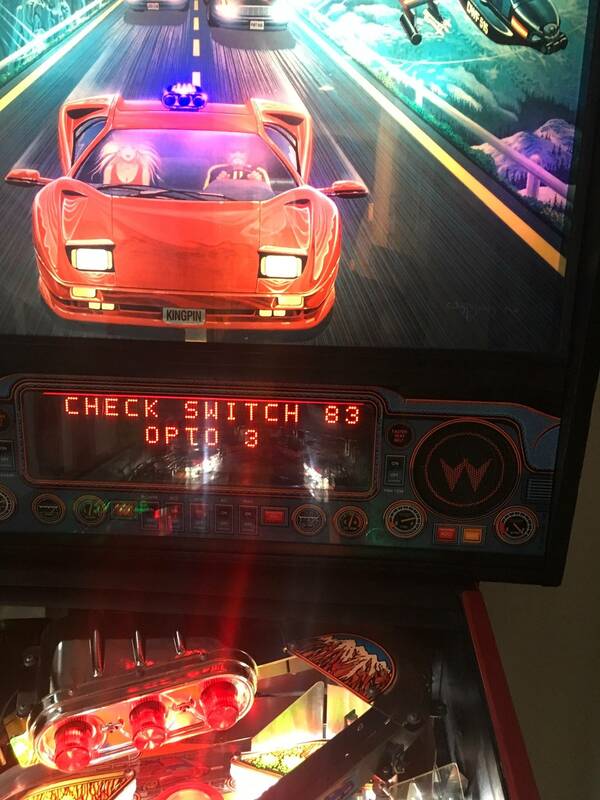 I'm looking to do something similar to light up the kingpin license plate, but there is not a socket anywhere close to it. Any ideas? Drill a hole and add one. Yup, the board is full of holes what's one more. That prevents the ball from dropping into the cab if it goes wild. Oh crap talk about originals. Waaaay over due. 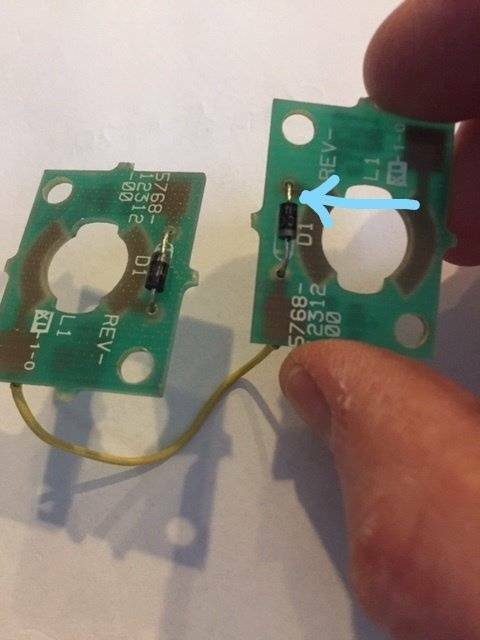 Or you could get a Comet Matrix bulb with the connector coming out on one side, buy a 5 led strip and cut off as many as needed to just light the plate up. No holes needed AND you could move it till you find just the right spot. 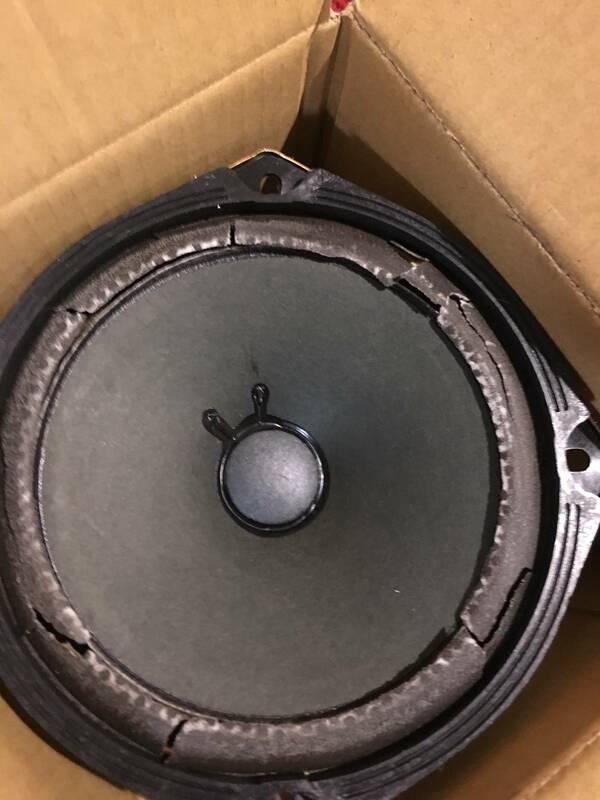 $21 parts express Dayton 6'1/2" woofer. Sounds nearly as good as my flipper fidelity sub. Yeah I got to thinkin (I'm dangerous when I do that ) why drill holes when Comet has the answer. I'm partially responsible for the Matrix system. That's kind of what I did to fully light the little Space Shuttle and astronaut on the bg of Space Station. For any future 5 ballers out there. The suggestion is to change some others settings in a 5 ball game. 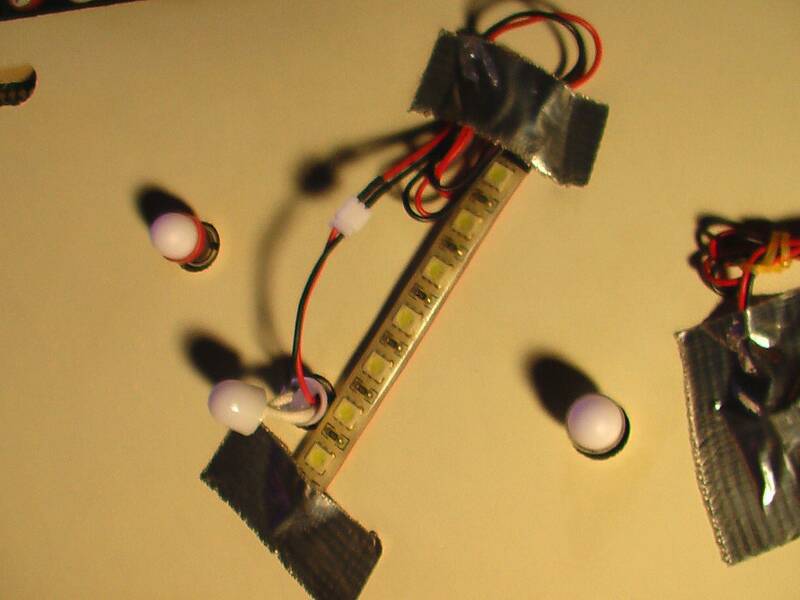 I imagine around the cost of two LED light up kits. For us slow people how much is that?